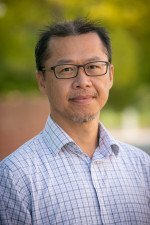 Scott C. Chiu is director of the Writing Center and assistant professor of English at California Lutheran University. He leads the planning and implementation of the Writing Center programs, which emphasize multiliteracy practices, community writing, and research on writing center pedagogies. He teaches basic writing, writing center theory and practice, and introduction to TESOL. His current research focuses on L1/L2 writing transfer, Translingual pedagogies, Writing Center Studies, and Community Literacies. Scott also serves as an assistant principal for Thousand Oaks Chinese School and is an advocate for Taiwanese/Chinese culture and education in the local community.